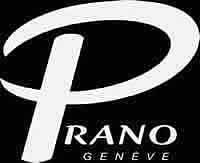 Prano watch company was founded by Fabrizio Cavalca, a talented musician, designer and watchmaker, who has also developed and produced the original models of Steinway & Sons, the most famous manufacturer of pianos. According to Cavalca, you should find harmony in everything around you, because it really helps. And while creating a watch, it is really necessary to combine dissimilar elements and details. Fabrizio's great talent helps him to create the exclusive models, known as Prano wrist watches. For Fabrizio, harmony is not the simply result of tones or drawings, but rather created by the cadence of the music score. This is a combination of different things, what the master often tells us about. According to Cavalca, "harmony is perceived not only by our eyes but also by ears, only in this case the senses become one. This is the same as the mathemetical formula, or notes for music. That is the essence of culture, the meaning of life, when a combination of several elements results in the desired product. The emotions are also born from the sounds of the instruments". Cavalca's own emotions, born from the amazing music of French composer Debussy, are reflected in Prano watches. The master is constantly searching for the perfect balance of harmonies, trying to escape from the unwanted emotions, to break all boundaries. His ideas are embodied in Prano watches, distinguished by the plain design and unusual shapes, giving the models the original image. The rare Monte Bianco watches by Cavalca were released specially for people, found of mountaineering. Monte Bianco (Mont Blanc, France) is the highest peak in the Alps (4810 m), where one can enjoy the beauty of Geneva, the motherland of Prano watches. The Monte Bianco watch case and bracelet is made of stainless steel, decorated with snowflakes, embodying the beauty and winter cold of the mountain. The round white dial of the model is equipped with two cold blue hands and the Arabic numerals. The sapphire crystal protects the dial. There is a map of Monte Bianco on the watch back. The water resistance is up to 50 meters. The watch is equipped with the Swiss quartz movement. Monte Bianco watches were released in a limited edition of 4810 items. Uno Classic is a collection of elegant watches, made of stainless steel. Mother of pearl dials are available in several colors: blue, white, pink and silver. There are two blue hands and the Arabic numerals on the dial, covered by a sapphire crystal. Some models from this collection are equipped with the stainless steel bracelet, the other – with silk straps. The watches are water resistant up to 50 meters. Swiss quartz movements are housed in all the models. There are also other versions of these watches, the cases of which are decorated with diamonds and other multi-coloured precious stones. Nemo is the original model, that differs from the other Prano watches in its design. This time, Fabrizio Cavalca has chosen the traditional round shape of the case, made of stainless steel. However, the specific Arabic numerals and the blue hands on the silver dials, covered with the sapphire crystals, remain unchanged. The model comes with the purple leather strap. The watch is water resistant to 50 meters. Nemo wrist watch is equipped with the Swiss quartz movement. Prano watch company has also released the Summertime collection of wrist watches, presented in different colors. The cases are made of stainless steel with black PVD coating. The multi-colored dials, equipped with hands of different colors, harmoniously combine with silk straps of the same colors. The water resistance is 50 meters. The wrist watches from Summertime collection are also characterized by the Swiss quartz movements.